It’s that time of the year where I feel like we’re expected of so much—so much giving, so much gifting, so much spending, so much needed time, so much, so much, so much. It’s an overwhelming season & it drains the best of us. Most of us just feel like we have nothing left to give when the day is done. Most of us feel like we have nothing left to offer, we have run dry & there’s no way to be filled again. But what if I told you that whatever it is you have to offer is good. What if I told you to give what you can, because it is always enough. It’s not about the quantity or even quality of what you have because there is a unique value behind what you have to offer, no matter what it is. If you only have time, give it. If you only have cookies, bring them. If you only have $3 to give in the offering plate, offer it. If you only have a talent to display, share it. Whatever it is, whatever you can give, whatever you bring to the table, it is always enough. Don’t be afraid to give what you can, it will be enough. Thoughts count. Effort counts. Creativity counts. Be you, & just give. It truly is better to give than to receive, so give what you can. Don’t feel like you have to be captive to the expectations around you. Give what you can because it is always enough. 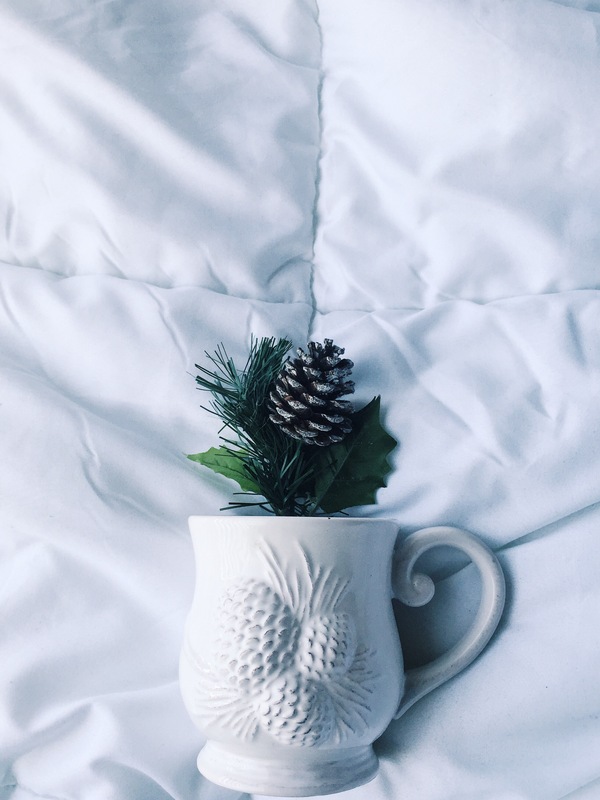 If you can only offer a pinecone in a Christmas cup, give it. Because it is enough & joy can be found in it. I hope this holiday season you recognize the good in giving what you can while experiencing the joy in giving it. There is true value behind what you as a person has to offer. Give it, because it is always enough.